To truly understand the impact and amazing musical development of The Beatles, you had to be there. Sorry, but discovering them fully formed after they had made their progressions, after they had written all those songs, and after you’ve heard more recent recordings just doesn’t cut it. You can historically and intellectually appreciate what happened, but that’s not feeling it happening. 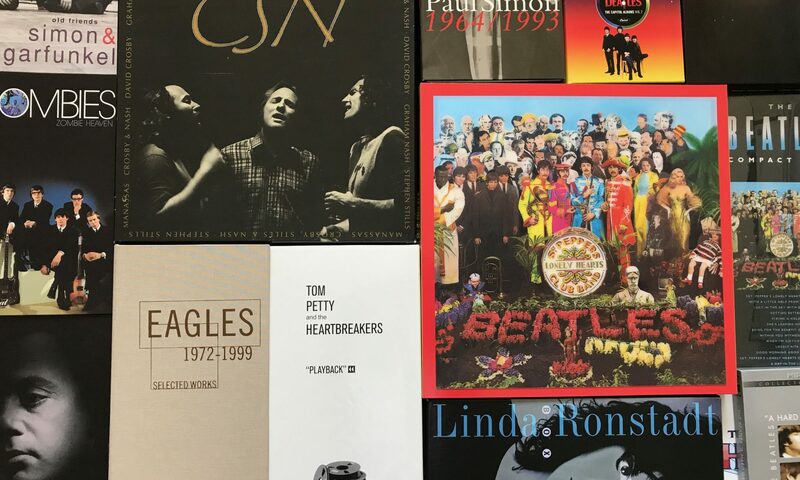 Nothing replaces first hearing The Beatles as they were hitting the American airwaves…that excitement for something so different from the Teen Idols and the smooth pop music of the early ‘60’s. Not that there weren’t good singers and songs, but it was only slightly rock & roll at that time. In early 1964 The Beatles broke bigger than any act ever. Just the impact from their appearances on The Ed Sullivan Show was enough to encourage so many future music stars. It all could have simply been an exclamation point in music history, except for two things. One, The Beatles became amazing songwriters, and two, they were great musical innovators. You needed to hear it as it happened. There is no replacement for being in your room, closing the door, and dropping the needle on Rubber Soul, then Revolver, then Sgt. Pepper, and through the remainder of their albums as they were released. Rubber Soul wasn’t any kind of shock. It was a maturing of their songwriting, and simply a high quality album. The American version didn’t even have any singles. But we all know “Norwegian Wood”, “Michelle”, “In My Life”, “I’m Looking Through You”, etc. Of course the British version included “Nowhere Man”. Plus, on the same day the album was released, “We Can Work It Out” & “Day Tripper” were released as a two-sided single. Those seven songs would make a nice side of a greatest hits collection. 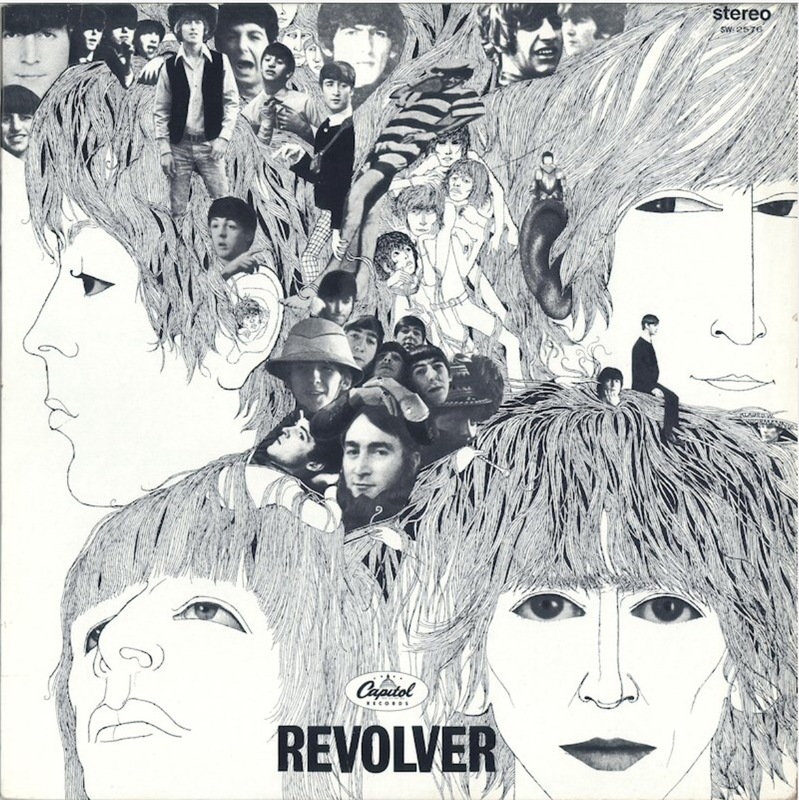 The first “What are they doing?” release of The Beatles was Revolver. Why does the album start with that odd count-in at the beginning of “Taxman”? One interviewer even asked them if they meant to do that. Nothing previous could have prepared fans for “Tomorrow Never Knows”… the one with John’s voice through a Leslie organ speaker, and the lyrics “Turn off your mind, relax, and float downstream”. You couldn’t play that one for your parents. Instead, you played “Here, There, And Everywhere” to try to get them to understand the musical quality of The Beatles. Revolver, along with two tracks that should have been on the album, “Paperback Writer” and “Rain”, were filled with studio innovations…backward guitars, backward vocals, tape loops, odd microphone placement, and so much more. Great melodies, lyrics and arrangements abound…”Eleanor Rigby”, “For No One”, “I’m Only Sleeping”, “Here There And Everywhere”, and basically the whole album. It’s easy to see why many fans list this album as their favorite. Sgt. Pepper’s Lonely Hearts Club Band brought even more wonder. Crowd noise, then The Beatles calling themselves another band, the title song introducing the singer of the next song, and then flowing right into it! That was new. What, no silence between “With A Little Help From My Friends” and “Lucy In The Sky With Diamonds”? And it turned out all of the cuts lacked the few seconds of separation that was normal on albums. 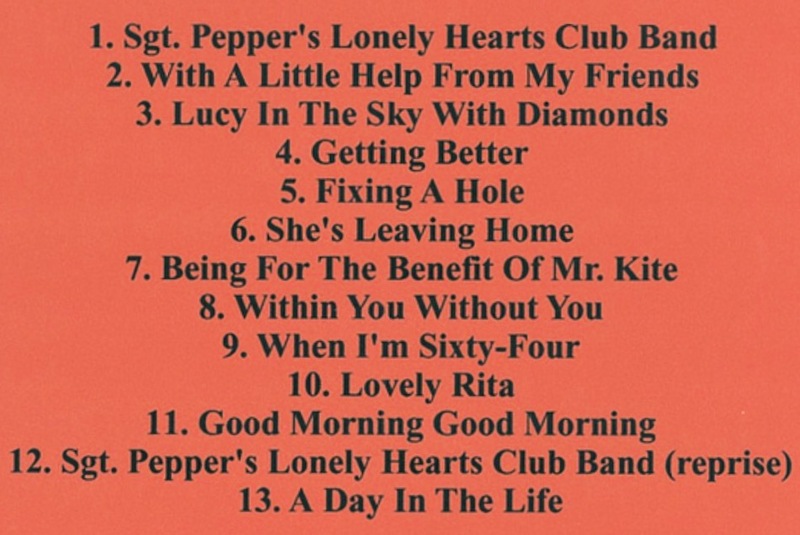 To understand the difference in popularity between The Beatles and any other artists, look at the songs on the album. Do you know them? Most people of the era will recognize almost all of the song titles even though there weren’t any singles released from the album. No other artists were so popular that the public knew so many of their album cuts. Not even close. The White Album, released a year later, was another change. It contained just about every style of music. It was probably named The Beatles, because it represented nearly all of the group’s musical influences, and showed how versatile they were…Rock & Roll, Blues, Country, Music Hall, Ballads, Pop, Hard Rock, Humorous, Experimental, Acoustic, Electric, Orchestral, etc. When The White Album was released, a Lincoln, Nebraska FM station, KFMQ, played the whole thing. As two DJ’s commented on the album, they said they didn’t know how The Beatles even came up with a running order, because the songs were so different from one another. 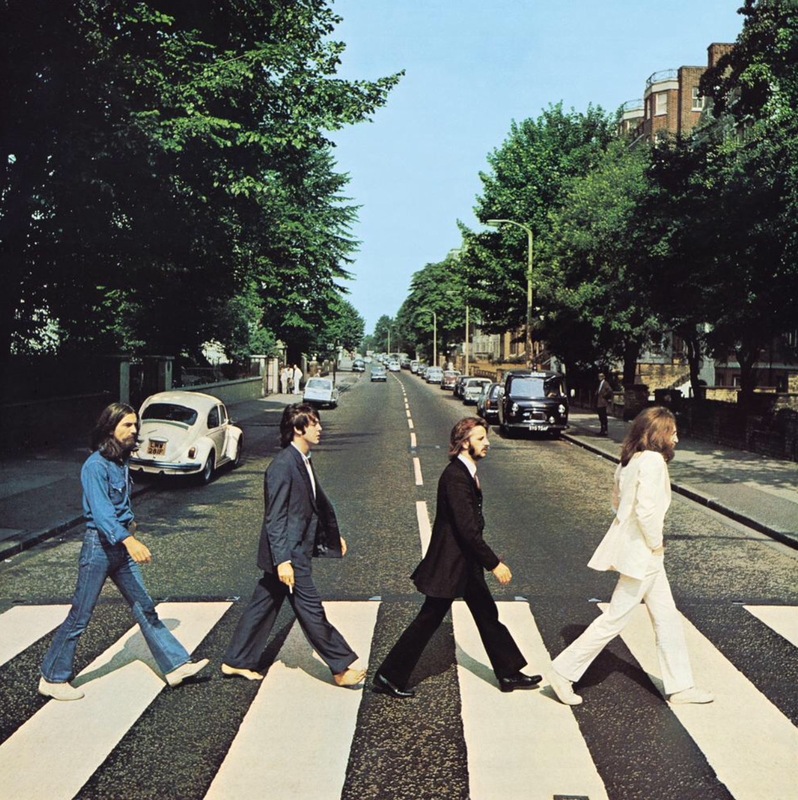 The next two albums, Let It Be and Abbey Road (which The Beatles recorded last), were released in the opposite order from which they were recorded. Let It Be is often looked upon as a lesser album, but would an album with “The Long And Winding Road”, “Two Of Us”, “Across The Universe”, “Get Back” and “Let It Be” be considered a “lesser” album for anyone else? Abbey Road is a favorite of many fans, especially those who came later. It has two of George Harrison’s best songs “Something” and “Here Comes The Sun”, plus Lennon’s “Come Together”, and the side two medley, which is mostly McCartney. “Carry That Weight/The End” is a great way for The Beatles to finish…trading guitar licks, Ringo’s excellent drumming, and a final message about love. Please look over the above list for any songs you think would have made good singles, or that you thought were singles. So many of these album tracks are generally recognizable by so much of the public. Oh, and The Beatles had 46 singles in the Billboard Top 40 chart during their active years. If you watched that chart in the ‘60’s, you saw 21 of those hits make it all the way to number-one. In fact, The Beatles spent a record 132 weeks at #1 on the Billboard singles chart. The next closest (Garth Brooks) has a very-distant 52 weeks. It’s important to note that they did this when all of the rock and pop songs were competing on one chart, not the high number of charts today, when it’s much easier to have a number-one somewhere. We can’t really measure popularity anymore, because sales are so slight, and the majority of people have never even heard the songs that reach the top of a chart. It’s almost unbelievable that The Beatles recorded all of their singles and albums in just 7 years in the 1960’s (only “I, Me, Mine” was worked on in January of 1970 by Paul, George, & Ringo). And, when they broke up, all four of The Beatles were still in their twenties! Maybe today’s fans are feeling similar excitement about current artists. It’s also fantastic that other generations keep discovering The Beatles and love their music. But, they can never know the amazement the first Beatles fans experienced as each new album was released.